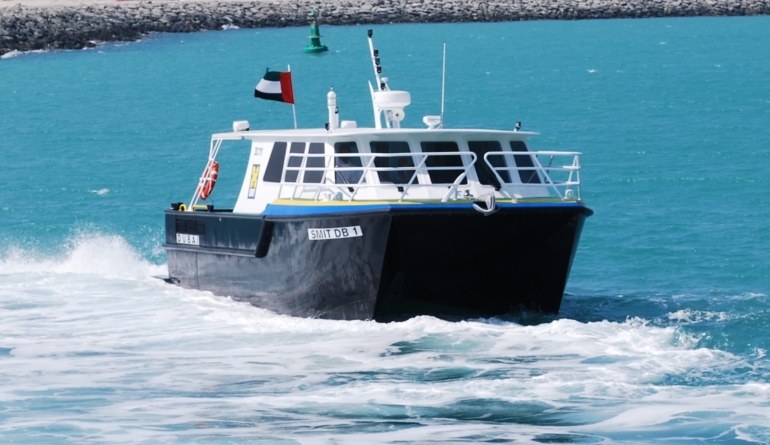 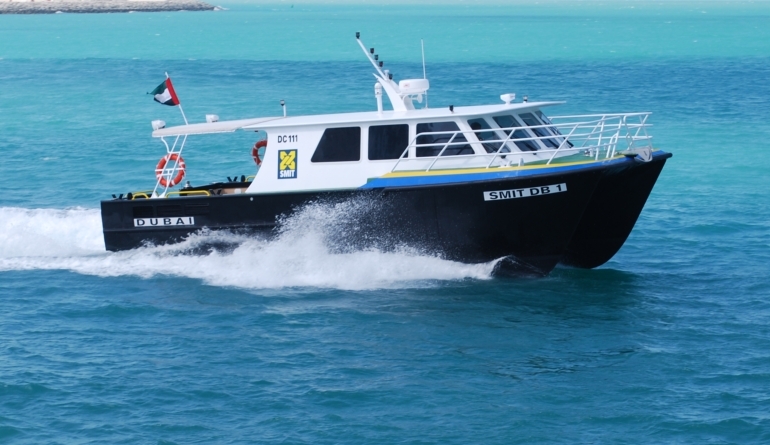 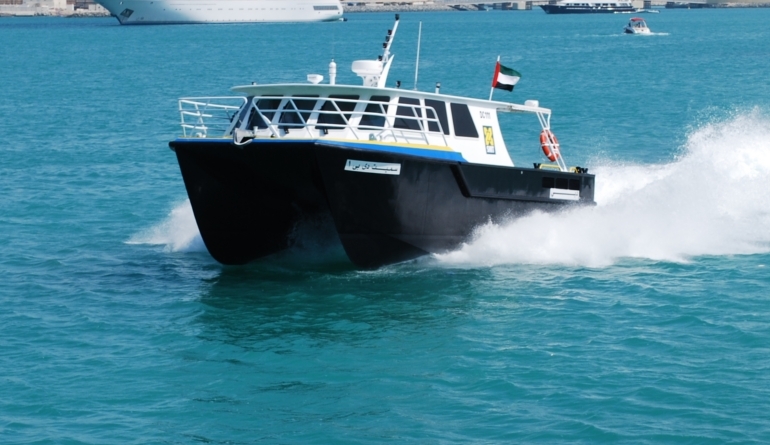 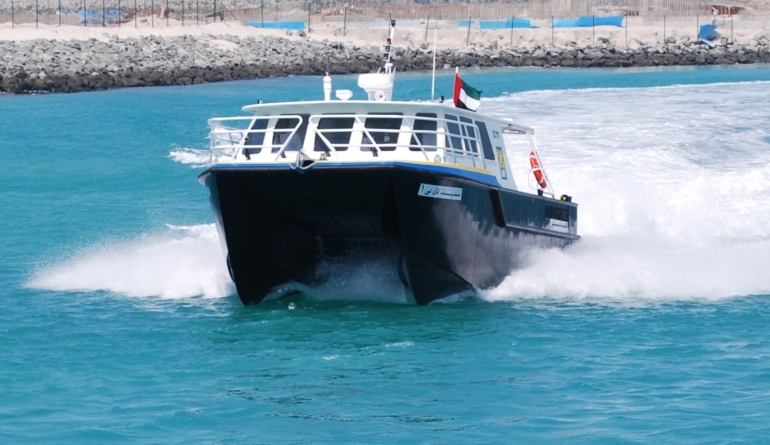 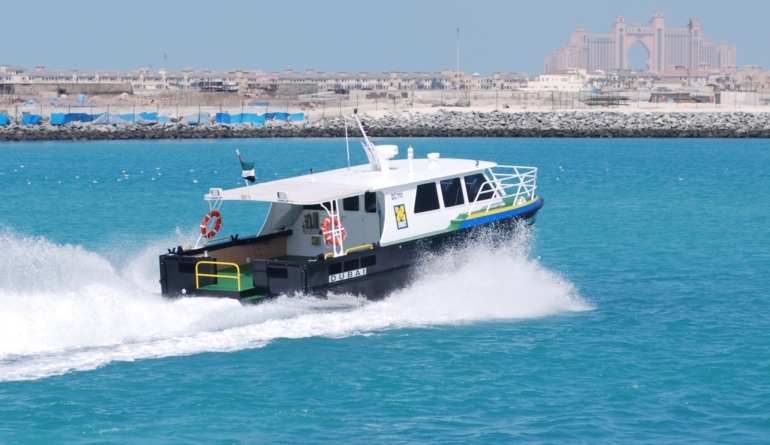 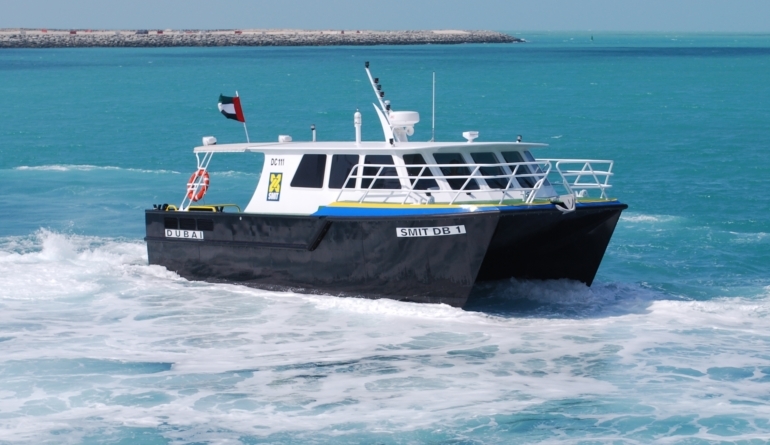 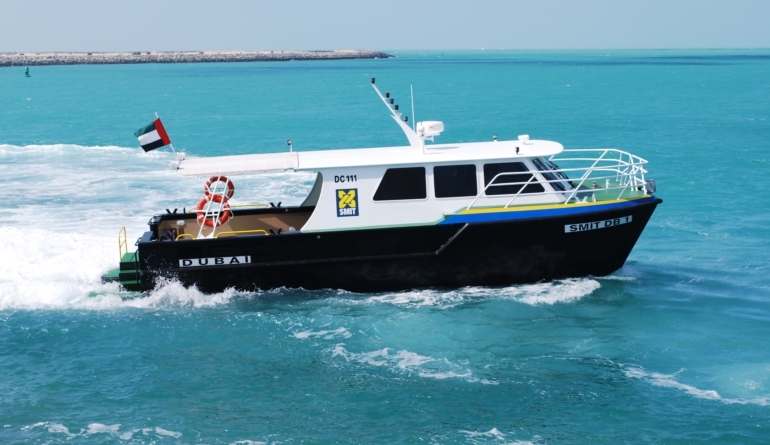 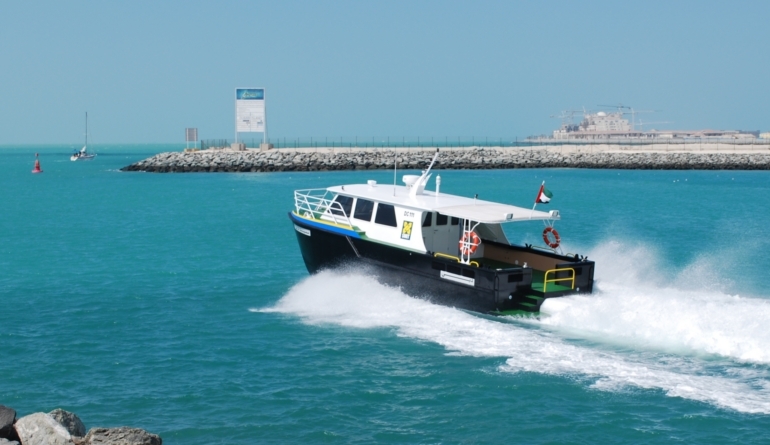 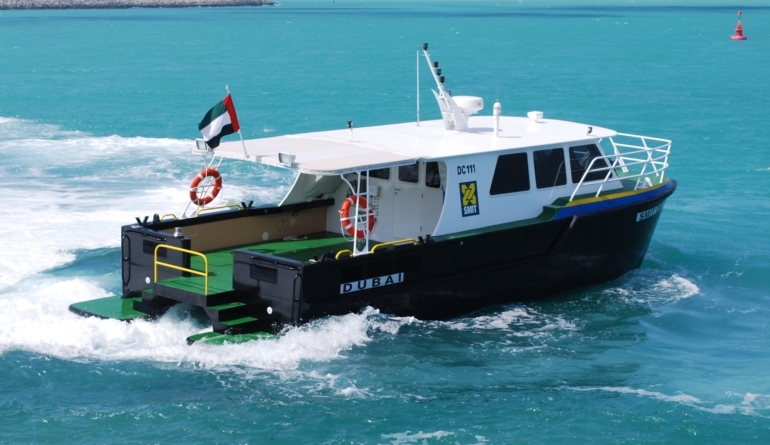 This very capable small work catamaran was built by one of our Middle East based builders, Ecoseas, for Smidt Offshore Services. 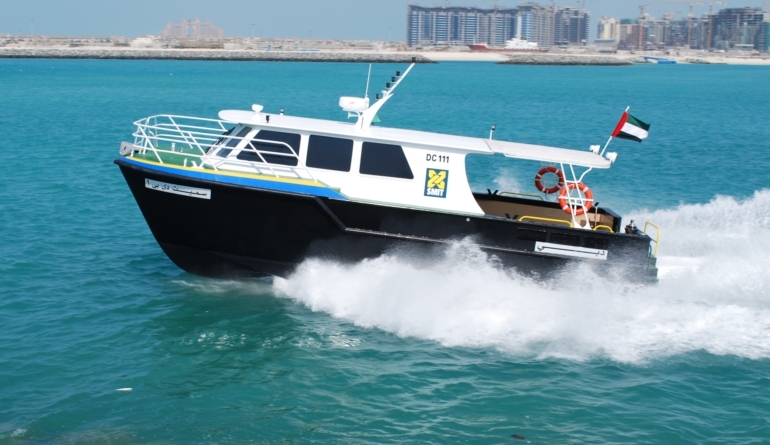 With twin Yanmars and Hamilton Waterjets, it has extensive on board equipment. 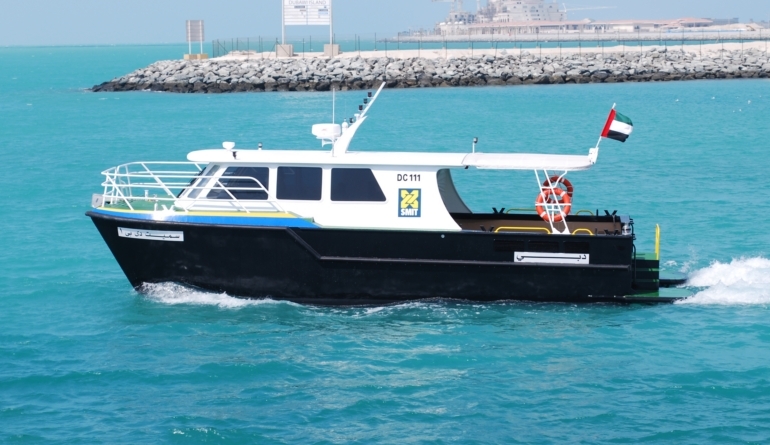 Initial trials were good with 25 knots sprint and good sea keeping. 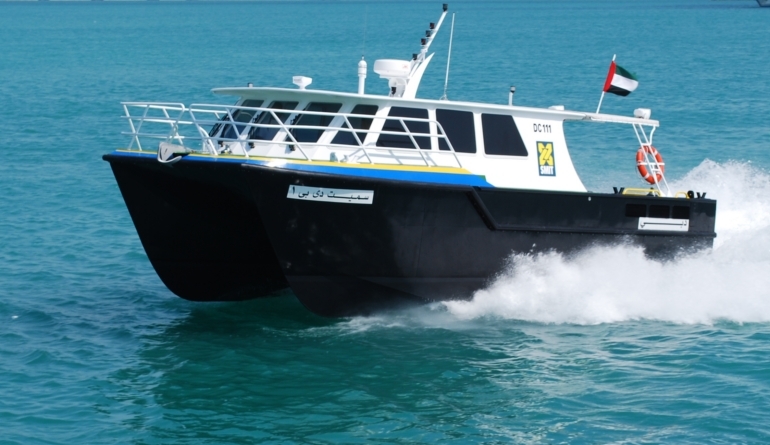 This kit is also available with forward raking windows, see MK 08071A “Marie Pierre”.